In the immortal words of Tammy Wynette, sometimes it’s hard to be a woman. In fact, sometimes it’s particularly hard to be a woman associated with the churches of Christ. Other than a few congregations on the liberal fringe, churches of Christ tend to be aggressively complementarian: no women in leadership positions, no exceptions. This is particularly difficult for intelligent, capable women who in nearly any other situation probably would be leaders. Through the years, I’ve had my share of conversations with women in this category who express frustration at the teaching and leadership of men whom they judge to be less capable than they are. I completely get their frustration. I’ve said for years that the single biggest problem in the Lord’s church is the problem of inadequate leadership. Most churches can’t come up with two men who are qualified as elders and willing to serve. All too many preachers spend the work week golfing or goofing off on the Internet and then turn to the same Internet on Saturday for a sermon that another man wrote. Our society’s answer to the problem is simple: put the ladies in the pulpit. However, that’s the wrong answer. There’s no ambiguity about what 1 Timothy 2:12 says: no women in positions of teaching or authority over men. Mainline denominations have hand-waved the problem away by saying that complementarian teaching is specific to the societies of 2000 years ago, but that’s an exception that inevitably swallows the rule. We can just as easily construct an argument that baptism for forgiveness of sins and barring the practice of homosexuality are also culture-specific. In practice, it will amount to following the parts of the Bible that we like while discarding the parts that we don’t. At that point, why not stop pretending that we’re Christians and start calling ourselves Judges 21:25ians? It’s pretty simple, really. Either we submit ourselves to God, or we don’t. As important and true as all that is, it leaves the problem unresolved. What is a spiritually unsatisfied woman to do when she has been failed by the male leadership of her congregation? As it happens, I do have a few thoughts. READ. Regardless of how poor the fare may be in the assembly, any woman of God who is literate can choose to seek out all the spiritual nourishment she needs. There are plenty of worthwhile resources on the Internet (like my blog! ), but most of all, she can choose to spend time in the word on her own. If the result is that she ends up knowing more than the lazy preacher, so what? Who cares about the treasure that anybody else does or doesn’t have so long as you have it? Don’t expect to be spoon-fed; solve the problem yourself. TEACH. In my experience, there is nothing so spiritually rewarding as using the Bible to teach others. Even though women can’t teach in the assembly, they can still teach in a number of other settings. My mother was certainly in the class of intelligent, capable Christian women. She told me once that if she had been a man, she would have been a preacher. 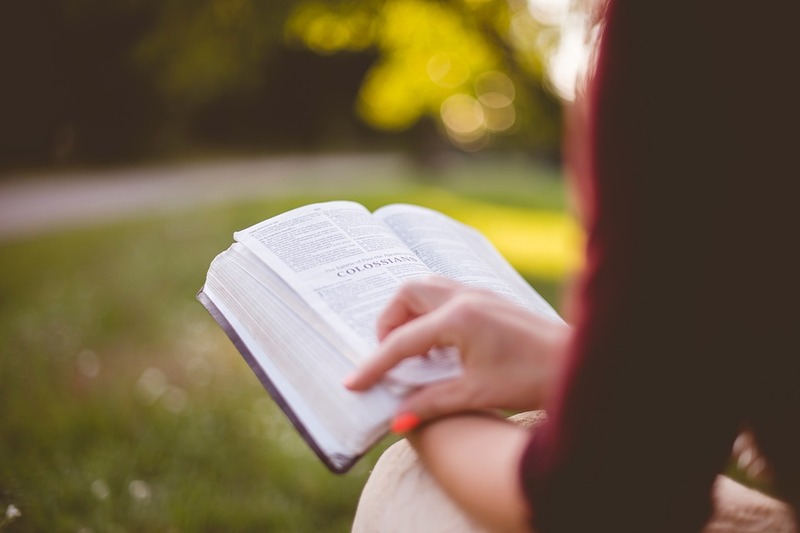 Not all the teaching she received in her life was good, but she constantly used her own understanding of the Bible to teach others. She was the best children’s Bible-class teacher I ever had. When I was a little kid, I remember going all over the county with her to studies in others’ houses. During the last years of her life, she started a study in the Columbia, MO senior center that I believe continues to this day. She never preached a single sermon, but she left more of a spiritual impact on the lives of others than many preachers. It would be a great blessing to the church if more Christian women with her abilities followed her example. SERVE. It benefits preachers to get their hands dirty from time to time, and I think the same is true for intelligent, capable Christian women as well. It’s easy for such women to hold themselves aloof from the community of the congregation, to allow their disgruntlement to take them away from the work. That’s a terrible mistake. If the Creator could lower Himself to wash His disciples’ feet, all of us have something to learn from humble service too. Once we are involved in the work, though, once we are on the lists for preparing the Lord’s Supper and cleaning the church building and feeding the gospel-meeting preacher and visiting members in the hospital and bringing meals to the sick, something starts to happen. Sure, those things don’t involve much mental horsepower, but they do demand a great deal of faith, self-control, and compassion. As we develop those spiritual attributes, our character starts to balance out, so that the intellectual problems that once seemed so important no longer strike us as mattering that much. It’s hard for resentment to survive in the heart of a servant. The more we serve others, the less frustrated we will become. GIVE GRACE. Saying, “Church leaders are inadequate,” is really another way of saying, “Christians are imperfect.” No matter the congregation, those who are determined to pick at the flaws of others will always find opportunity. As long as we’re on earth, we will always be surrounded by Christians who fall desperately short of their Example. We can get upset about that and gripe and fuss, but we can only sustain such a spirit as long as we forget to consider ourselves. Maybe the preacher has failed. Maybe he fails regularly. Have I also failed? Have I also failed regularly? Throughout my life, have I been a humble, steadfast example of the love of Christ, or instead is the record of my days also stained with sin? I understand the impulse to become frustrated. I understand the impulse to judge. However, we must also remember that as we measure out to others, so it will be measured out to us. As irritating as Christians who Just Don’t Get It may be, I serve a Lord who has infinitely more reason to be irritated because I Just Don’t Get It. When we are patient and gracious and merciful toward the failings of others, we store up patience, grace, and mercy for ourselves. ← Whatever Happened to Shiloh?